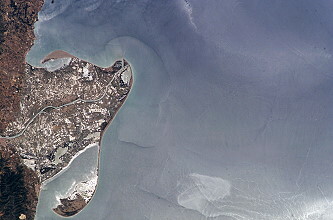 Given names: Gennadi Ivanovich Edward Michael "Mike"
Launch from the Baikonur Cosmodrome; landing 95 km northeast of Arkalyk. The Expedition 9 officially began with undocking of Russian spacecraft Soyuz TMA-3 on April 29, 2004 at 20:52:09 UTC and Expedition 8 ended. 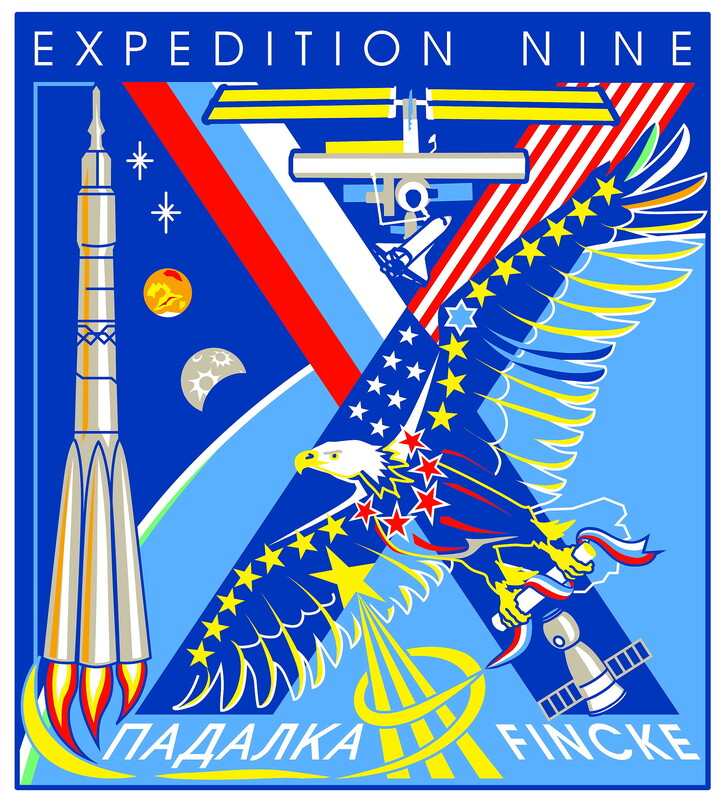 The ISS Expedition 9 was called a "caretaker" crew. 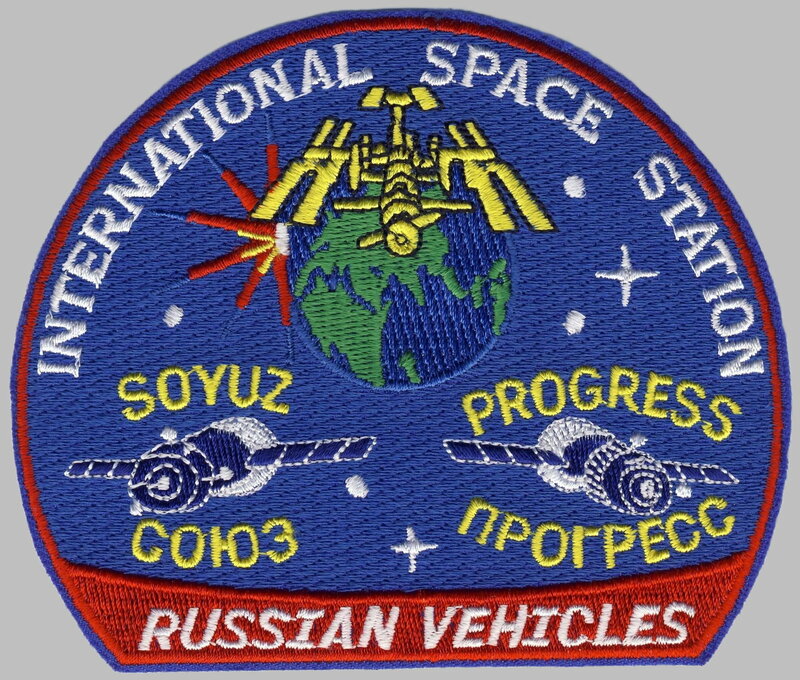 Following a two day solo flight Soyuz TMA-4 docked to ISS on April 21, 2004. 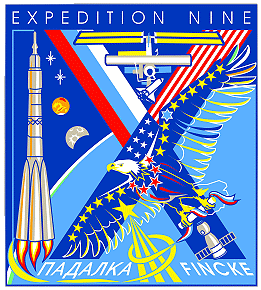 Gennadi Padalka and Michael Fincke replaced the Expedition 8 crew. 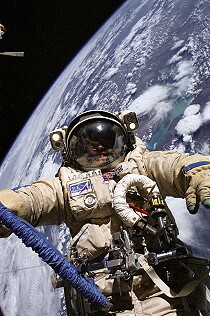 The crew performed 21 new experiments and four spacewalks. 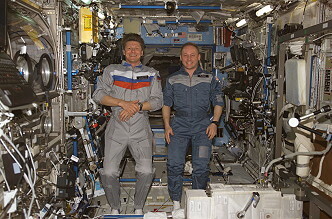 Together with the new ISS crew European Space Agency (ESA) Astronaut André Kuipers reached the station. 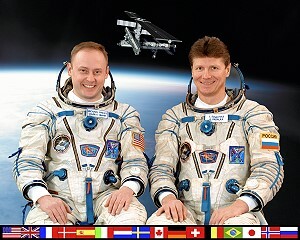 After more than a week of joint operations and handover activities, Gennadi Padalka and Michael Fincke officially took command of the Station on April 29, 2004 when Expedition 8 Commander Michael Foale and Flight Engineer Aleksandr Kaleri left the Station. This mission was the site for the Advanced Diagnostic Ultrasound in Microgravity Project. 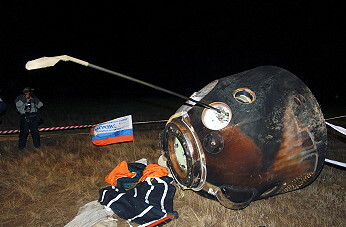 Expedition 8 and André Kuipers returned to Earth that same day aboard the Soyuz TMA-3 spacecraft. André Kuipers' 11-day mission to the ISS was part of a commercial agreement between ESA and the Federal Space Agency of Russia. The EVA 1 was aborted on June 24, 2004 after 13 minutes (planned 6 hours) because of a high rate pressure lost in the primary oxygen bottle of Michael Finckes Orlan spacesuit. The second EVA occurred on June 30, 2004 (5h 40m) to install a new circuit breaker to restore power to one of four gyroscopes that help orient the complex, two flexible handrails, to mount a contamination monitor to measure Station thruster exhaust, and to add end caps to two circular handrails on the airlock. Progress M-49 was launched at 12:34:23 UTC on May 25, 2004. 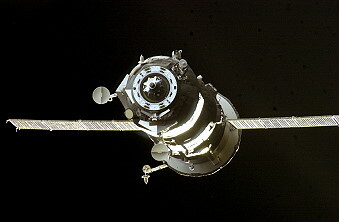 The spacecraft docked with the Aft port of the Zvezda module at 13:54:43 UTC on May 27, 2004. 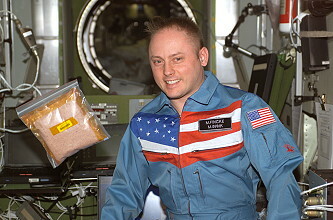 Progress M-49 carried supplies to the International Space Station, including food, water and oxygen for the crew and equipment for conducting scientific research. 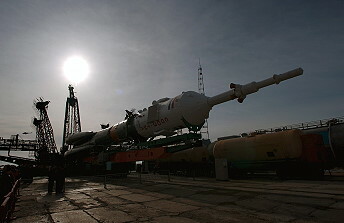 The freighter remained docked for two months before undocking at 06:04:48 UTC on July 30, 2004 to make way for Progress M-50. It was deorbited at 10:37:00 UTC on the same day. The spacecraft burned up in the atmosphere over the Pacific Ocean, with any remaining debris landing in the ocean at around 11:23:35 UTC. 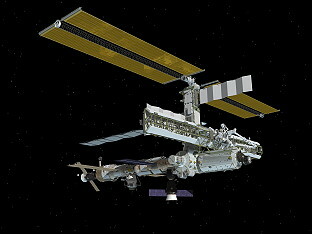 The third EVA was performed on August 03, 2004 (4h 30m) replacing several materials exposure experiment packages and a thruster contamination monitor, installing reflectors and communications equipment needed for the docking of a new European Space Agency cargo ship, which shall dock on the ISS in 2005. 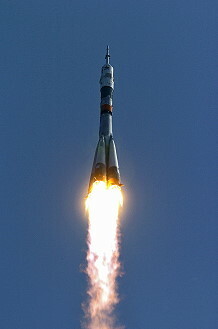 Progress M-50 was launched at 05:03:07 UTC on August 11, 2004. 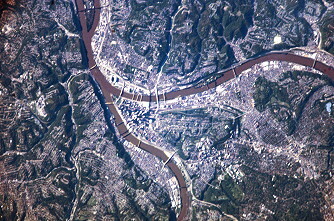 The spacecraft docked with the Aft port of the Zvezda module at 05:01:08 UTC on August 14, 2004. Progress M-50 carried supplies to the International Space Station, including food, water and oxygen for the crew and equipment for conducting scientific research. The freighter remained docked for four months before undocking at 19:37:02 UTC on December 22, 2004 to make way for Progress M-51. 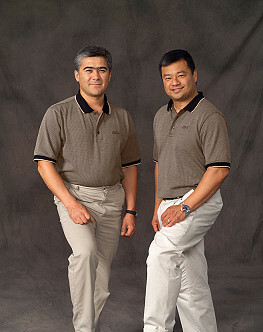 It was deorbited at 22:32:06 UTC on December 22, 2004. The spacecraft burned up in the atmosphere over the Pacific Ocean, with any remaining debris landing in the ocean at around 23:23:38 UTC. The fourth and final EVA occurred on September 03, 2004 (5h 21m) installing three antennas on the exterior of the Zvezda Service Module that will aid the automated docking of a new Station supply craft, the European Automated Transfer Vehicle, replacing of a pump panel on the Zarya module, installation of guides for spacesuit tethers on Zarya handrails; installation of handrail covers near the Pirs Docking Compartment hatch. ATV support operations included installing equipment for the air-to-air radio link antennas and removing all covers from antennas. Other tasks included installing a Pressure Control and Exposure Monitor Sensor on Pirs and installing protective components on the brackets of Pirs' ring handrails on EVA Hatch No. 2. Generation of High Efficiency of Microorganisms for the Production of Preparations of Biodegradable Oil, Organophosphorus Material, Measures for the Protection of Plants, as well as, of Exopolysaddharides Uses in the Petroleum Industry (Bioekologia-M (Bioecology-M)): Bioekologiya (Bioecology) seeks to produce improved strains of microorganisms for the manufacture of components such as exopolysaccharides from the biodegradation of oil. Capillary Flow Experiment (CFE): Capillary Flow Experiment (CFE) is a suite of fluid physics experiments that investigate capillary flows and flows of fluids in containers with complex geometries. Results will improve current computer models that are used by designers of low gravity fluid systems and may improve fluid transfer systems on future spacecraft. Fluid Merging Viscosity Measurement (FMVM): This experiment is designed to test a new method for measuring the viscosity of high viscosity materials by measuring the time it takes two nearly free-floating drops of a liquid to merge. The materials used are of known viscosities (corn syrup, glycerin and silicone oil) so that the accuracy of the fluid merging test can be compared to the methods used on Earth. 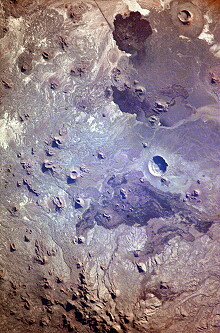 The FMVM experiment can lead to a greater understanding of glass formation from melted lunar soil. It will also lead to a better understanding of liquid phase sintering processes for in-space fabrication methods that can be used for constructing surface habitat structures. Viscous Liquid Foam - Bulk Metallic Glass (Foam): This investigation tests and produces hardened foam from bulk metallic glass. The absence of gravity facilitates the creation of a more uniform metallic glass foam, a material with an extremely high strength to weight ratio. Developing lighter and stronger materials can lead to a more durable spacecraft that will require less propellant to travel long distances. Mechanisms of Action and Influence, and Effectiveness of Various Methods of Phrophylaxis Directed Toward Prevention of Disturbances of the Human Locomotion System in Weightlessness (Profilaktika-1 (Prophylaxis-1)): Profilaktika uses physical activity to counteract the effects of microgravity on the human body. During physical activity such as riding the stationary bike or running on the treadmill: gas levels are measured via a breathing mask and heart rate is evaluated. 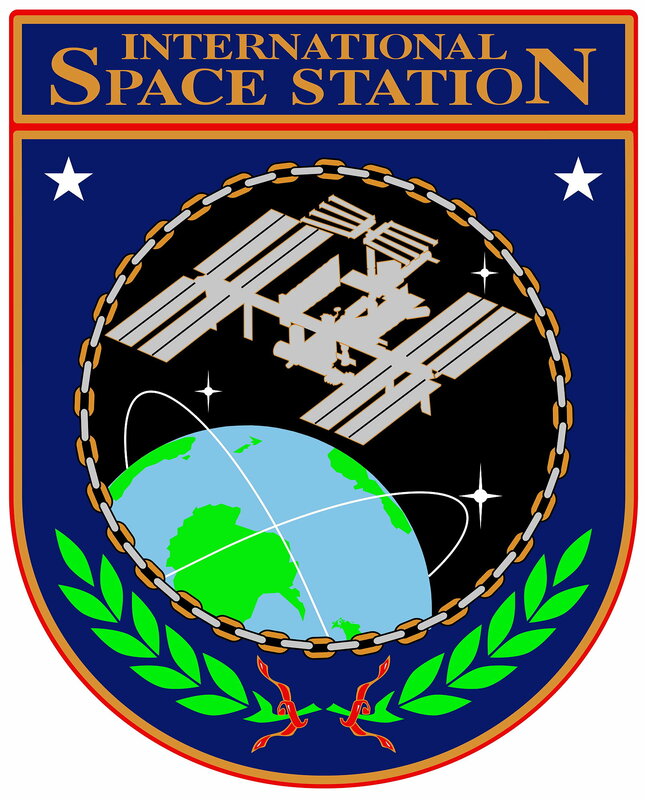 Serial Network Flow Monitor (SNFM): The Serial Network Flow Monitor (SNFM) uses commercial off-the-shelf software to study the International Space Station's computer network, checking the speed of data transfers and the electronic equivalent of "traffic jams". The SNFM team monitors data transmission between the ISS and the ground, checks for delays caused by heavy use of the computer network, and troubleshoots problems. Waves: Observation in near Infrared Spectral Band Undulatory Disturbance in the Middle Atmosphere Layers of the Earth of Technogenic and Naturally Occurring Origin (Volny-PK-1 (Waves-PK-1)): Volny (Waves) records atmospheric phenomena in the Service Module window with two very small cameras. One camera captures the full visual spectrum, and another camera focuses on the wavelength of light emission associated with sprites (sprites are giant flashes of lightning that propagate upward above large thunderstorms, 50-90 km above the Earth's surface). 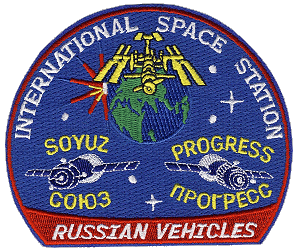 On October 16, 2004 Russian spacecraft Soyuz TMA-5 brought the Expedition 10 to the station. 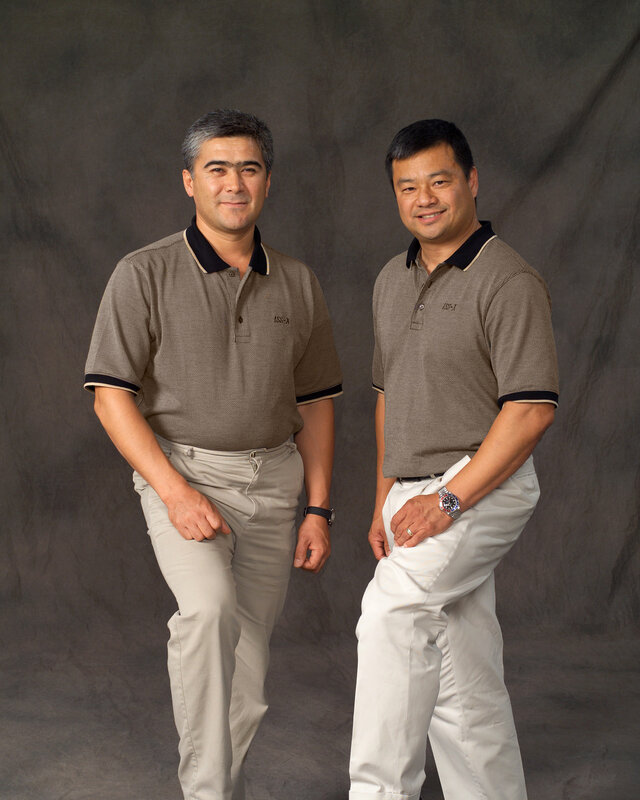 Finally the station command changed from Russian cosmonaut Gennadi Padalka to US astronaut Leroy Chiao. 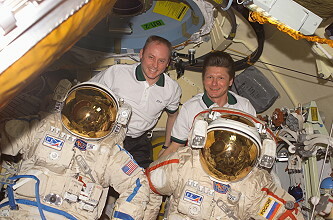 Expedition 9 offically ended with undocking of Soyuz TMA-4, carrying Gennadi Padalka and Michael Fincke, on October 23, 2004 at 21:08 UTC. Vektor-T (Study of a High Precision System for Prediction Motion of ISS).